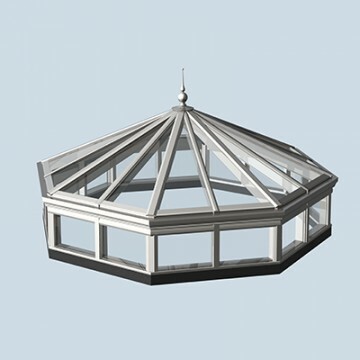 Architectural glass with pyrolysis membrane, due to the durability of the membrane, it can be treated as non-coated glass and cleaned with relevant cleaning equipments. 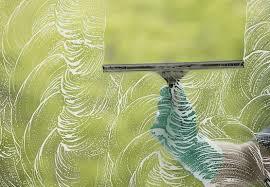 Coated glass can not be cleaned by abrasive cleaning devices. Film of magnetron sputtering vacuum deposition (MSVD) process is not so solid than a pyrolysis. The most sensitive one is the new low-E magnesia film. Visual reflection MSVD membrane surface residue clean lint-free cloth and commercial solvents (such as paint thinner, mineral alcohol or isopropyl alcohol, etc.) removed. Can not use household dishwashing detergent, must be careful to ensure that solvents and residues has no effect on the membrane. Do so with small cleaning test, to determine the residues and solvent on the membrane is damaged. Machine wash coated glass must not stop at the following cleaning brush, as this will damage the membrane. Because each of the hardness of the brush cleaning machine may be different, after cleaning film through the tests to determine the membrane brush cleaning machine is causing damage. When cleaning MSVD Low-E coated glass membrane, it is best not use recycled water, because these films are very sensitive to PH.. If the use of recycled water, the PH should be monitored for size. Finally, spray coated glass to use when demineralization or deionized water to ensure no residue when dry. Because of the use or deionized water demineralization process may increase the water resistance, it should be in the water sample testing. Sure no adverse reaction, even in large-scale trial production before production to determine that the water in the system is working properly. Cleaning fluid temperature and pH value is associated. Low PH (acidic), the increase in temperature will accelerate the destruction of acid reaction. Production should be in the same testimony was washing liquid temperature detection. If no membrane cleaning the glass, water temperature not higher than 140. F (60). The second half of 1983, PPG's coating production line installed in the vacuum cleaning system and a pre-detection system. Vacuum coating glass production line requires a thorough cleaning; clean glass surface coating of quality assurance is critical. Pre-cleaning system which is still continuing to run, due to its ease of maintenance, compact and economical, reducing defects and cleaning-related products, therefore, to improve productivity. Using the principle of pre-cleaning system can be used to design each manufacturer's pre-cleaning glass system. Glass-cleaning equipment manufacturer should be consulted to develop system modifications to meet specific needs. Reactions are those filthy residue adhesions stronger than it can occur with the glass surface of the physical or chemical bonding or mutual reactions. For this reason, you should use a special key to force the dissolution or destruction of the solution clear. Hard water salts are common response contaminations like other inorganic compounds. If the glass is washed using water that contains inorganic compounds, before the drying or deep processing (e.g., coating or steel), you must be careful to water off the surface with dematerialized water. This prevents the glass visible defects from the accumulation of hard water salts. If it allows drying on the glass surface with hard water, we should use acidic for off-line cleaning solution and remove the salt on the glass nickel oxide surface. HoweverPsychology Articles, this approach may be unsafe in the production process. It is not good for environment and economically feasible.